Sunday, Jan. 13, 2019, 7:30 – 9 p.m.
University of Washington School of Music; www.music.washington.edu; ArtsUW Ticket Office: 206. 543.4880. 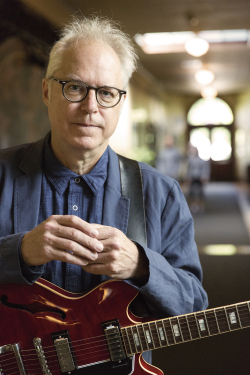 Renowned guitarist (and affiliate UW Music faculty member) Bill Frisell and UW Music faculty band Indigo Mist (Cuong Vu, trumpet; Richard Karpen, piano; Ted Poor, drums; and Juan Pampin, live electronics) present a program of all-new, original music.